This year, Canada will hold its first federal election since the Liberal government of Justin Trudeau replaced the conservative government of Stephen Harper in late 2015. In the 2015 election, the traditionally social democratic NDP, which was then led by Tom Mulcair, was considered a real contender to win the election. But a late surge by Trudeau’s Liberals and a corresponding collapse in support for the NDP propelled Justin Trudeau to power. Tom Mulcair paid for the NDP’s electoral debacle by being ousted from the NDP leadership. Many attributed the collapse in NDP support to Mulcair’s decision to move the party’s domestic platform toward the right and away from traditional center left ground of the NDP. Now here to discuss this new book with us is Yves himself. Yves is a Montreal-based activist and author. 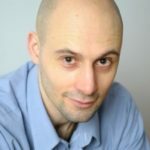 His published books include Canada and Africa: Three Hundred Years of Aid and Exploitation, The Ugly Canadian: Stephen Harper’s Foreign Policy, and the Black Book of Canadian Foreign Policy. He joins us today from Montreal, the city where I’m situated. Thanks very much for joining us today. DIMITRI LASCARIS: So Yves, I would like to start with the question of war. As you explain in your book, in the post-World War II period, Canada has participated in numerous U.S.-led wars that were at least arguably, if not undeniably, of an imperialistic nature. One such war was the Korean war, which resulted, as you note in your book, in massive death and destruction in Korea. Another one was the bombardment of Libya, which caused utter chaos and untold suffering in that country. That is by no means an exhaustive list. What was the NDP attitude, at least from the leadership’s perspective, towards those and other imperialistic, U.S.-led wars in the post-World War II period? YVES ENGLER: Very supportive. In terms of Korea, in 1950, the CCF, which was the predecessor to the NDP, the leadership immediately supported Canada sending naval vessels to Korea, and then actually pushed to send ground troops, and they did it in a way that was actually quite undemocratic. They did it on the eve of a convention when the party members were supposed to debate the issue, and the leadership basically forced the membership to go along with this pro-Cold War policy. And then, right up until recent years, in Libya in 2011, you had a NATO bombing of Libya where it was a Canadian general that led the mission, that oversaw the whole mission, you had Canadian special forces on the ground in contravention of the UN resolutions, you had Canada arming the opposition to Gaddafi. And the NDP voted in the House of Commons on two different occasions, supported House of Commons resolutions supporting the war in Libya. So the NDP has very much supported not all Canadian wars, but a number of Canadian wars that I think were clearly against humanistic principles. And the NDP has also, certainly in the last fifteen years since the early 2000s, consistently supported Canadian military spending. And actually, a year and a half ago, the Liberal government put out a defense policy statement that talked about increasing military spending by seventy percent, expanding Canadian Special Forces, buying armed drones, offensive cyber attack capabilities. And the NDP’s criticism of liberal’s defense policy statement was that not enough of the seventy percent military funding increase was taking place immediately, too much of it was down the line. So the NDP has very much, in the last 15 years at least, been pressuring for maintaining or increasing Canadian military spending. 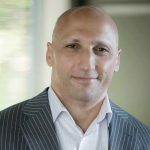 DIMITRI LASCARIS: Now Yves, one of the striking aspects of NDP foreign policy, arguably, is its support for sanctions on Russia, a nuclear powered state that has enough nuclear weapons capacity to probably destroy life on this planet as we know it. In fact, the current foreign affairs critic of the NDP, Helene Laverdiere, has criticized both conservative and liberal governments for imposing sanctions on Russia that she argued were too weak. So let’s listen to a critique she articulated in the Canadian parliament in 2015 of the then current sanctions regime on Russia. HELENE LAVERDIERE: The new round of sanctions against Russia has again missed the mark. Vladimir Yakunin, president of Russian Railways, is still missing from the list of persons targeted by sanctions. Yakunin is a longtime friend of Putin, they have even cofounded the company together. Why are key individuals like Yakunin absent from the most recent sanctions against Russia? Why are the conservatives taking it easy on certain friends of the regime? DIMITRI LASCARIS: Now Yves, at the time Helene Laverdiere made this criticism, the government in power was that of conservative Stephen Harper, arguably the most hawkish PM Canada has had in the post-World War II period. The rationale for Russia’s sanctions is that Russia has illegally annexed Crimea. Those sanctions are in place despite the fact that before the annexation, a referendum was held in Crimea in which over ninety percent of those who voted and the turnout for the referendum was reportedly quite high, supported some form of union with the Russian Federation. Yves, I’d like you to contrast this to the NDP leadership’s stance on sanctioning Israel, which, and as acknowledged by the Canadian government itself, has formally annexed the Golan Heights in East Jerusalem in violation of international law and has effectively annexed much, if not all, of the West Bank also in violation of international law. YVES ENGLER: Yeah. Well the first thing is that the NDP has been very hawkish on Russia and has been pressuring the Canadian government and the Harper government, and more recently the Trudeau government, to maintain an aggressive position against Russia, which includes about five hundred Canadian troops in Latvia leading a NATO mission there, which includes a couple hundred Canadian troops training Ukrainian forces are fighting in the east of the country. Some of those forces actually are tied into as neo-Nazi groups. So the NDP has very much been a proponent of aggressive policy towards Russia, supporting the Magnitsky Act, which is Canada sanctioning many Russian officials. And so, it’s taken this aggressive position not just vis a vis the annexation of Crimea, but just in general in terms of supporting the anti-Russian forces within the Ukraine and in the region more generally. And as you note, to contrast that with its policy on Palestine is quite illuminating. Because at the NDP convention in February, there was a resolution put forward, dubbed the Palestine resolution, that was the most widely supported foreign policy resolution. Dozens of riding associations across the country that supported this resolution, the NDP youth convention unanimously endorsed it. And what it calls for was a boycott of products produced in the West Bank, illegal settlements in the West Bank. And the NDP leadership, including Helene Laverdiere, they did everything they could to make sure that that resolution wasn’t even discussed at the convention. They basically blocked it from even being allowed to be discussed at the convention. And the basis of their campaign against this resolution, again, that was widely supported by the membership–in the lead-up to expansion it was never allowed to be debated so we don’t know exactly how much support it had–was that this was supporting the Boycott Divestment Sanctions movement, there was no support for sanctions against Israel, this kind of this kind of argumentation. When obviously, the Israeli occupation of the West Bank, of Syrian Golan Heights, of East Jerusalem, goes back for more than half a century. And if there’s a poll of Palestinians, I can tell you that the vast, vast majority would vote to not be under Israeli occupation, or Syrians in Golan Heights. But the NDP is not willing to even allow for debate about a very modest effort to bring some form of sanction against Israel’s occupation, which is just, this is reflective of a long history within the NDP and CCF on the question of Palestine. And for many decades, the NDP was really aggressive in its anti-Palestinian position, opposing a UN conference from taking place in trying in June in the 1970’s. Because in 1974, the Palestinian Liberation Organization was granted observer status at the UN and there was a fear that there may be–this UN convention had nothing to do with Palestine–but it a fear that some PLO representatives might actually attend because they’d been granted observer status the year before. And so, the NDP was calling for this convention, UN convention, not to take place in Toronto, wanted it to take place somewhere else. That was the depth of their hostility to Palestinians. And that’s a position that is more in play today, with many of the members of the party very sympathetic to the Palestinian cause, but the leadership still refusing to go against this political culture in our country that’s very supportive of Israel no matter how long Israel’s been illegally occupying Palestinian and Arab lands. DIMITRI LASCARIS: So we’re going to pause there and continue our discussion in part two. 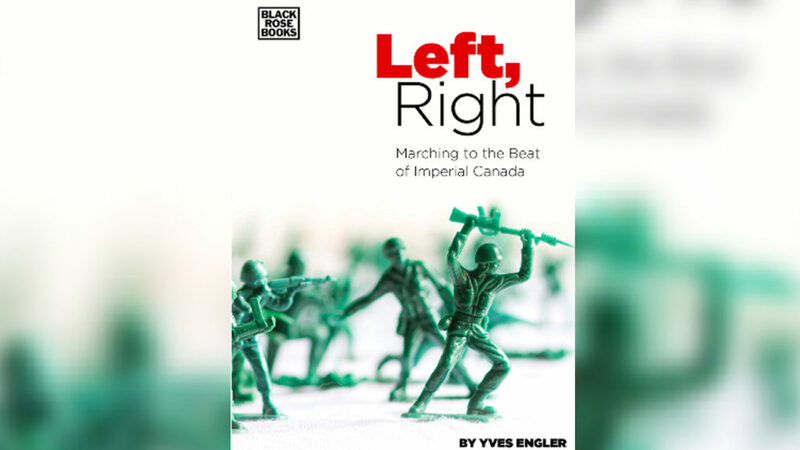 We’ve been speaking to Yves Engler about his new book, Left, Right: Marching to the Beat of Imperial Canada. Thank you for joining us today. DIMITRI LASCARIS: And this is Dimitri Lascars for The Real News Network.